We are excited to announce a new service that Groveport Madison Schools is bringing to our families whose children are transported to and from our schools daily using District-provided school buses. 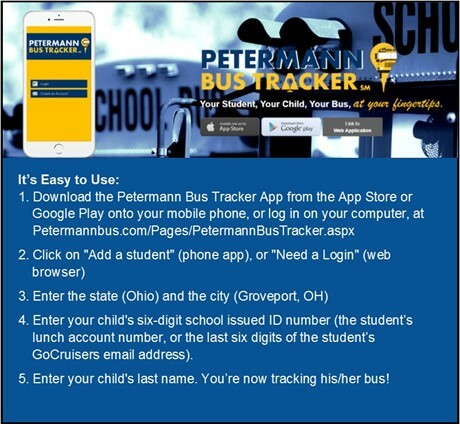 Our school bus partner, Petermann Transportation, has developed a phone and web browser application that allows parents and guardians to securely view the location of their child’s bus location in relationship to the child’s school and his/her assigned bus stop. It even can be used to track buses for multiple children in the same family. Parents and guardians can view multiple stops on an assigned bus route, including the scheduled arrival time for each stop. This service is free of charge to parents/guardians and has been provided by Petermann Transportation at no additional cost to the school district. While we encourage use of the Bus Tracker app, its use is completely voluntary. The app provides close to real-time bus locations and information, including the scheduled arrival time of your student’s bus. Please keep in mind that Bus Tracker is not to take the place of your child being at the designated bus stop 10 minutes before the scheduled pick-up time. 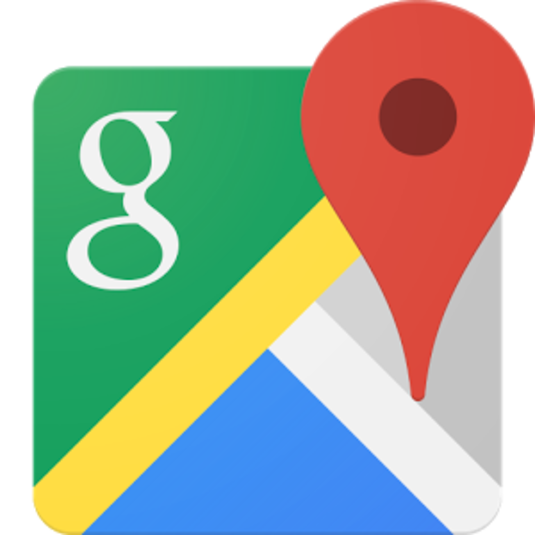 In addition, the Bus Tracker may not to be used to pick-up your child at a location other than the assigned bus stop. Our bus drivers will let students off only at their assigned stop. We’re pleased we can offer this service to you. 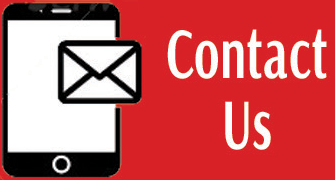 Should you have any questions or concerns, feel free to call our Communications Office, at 614-492-2520, or your child’s school.